We provide a safe, nurturing and fun environment to engage the interests of all. Our adventures are non stop and our activities reinforce the values of caring, honesty, respect and responsibility. At Summer Day Camp, we create an exciting, safe environment for kids to have an unforgettable summer of fun. And while they're taking part in unique experiences and adventures, they're also building self-esteem, developing interpersonal skills and making lasting friendships. Nutritious morning and afternoon snacks are provided. 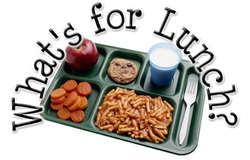 Children enrolled in a full day program may bring a lunch from home or purchase one from the school cafeteria. Kiddy Club is the place to be when your child is on school break! Whether it is Winter, Spring or Summer Camp, you can be sure that your child will be involved in a host of fun filled, structured activities with awesome staff at Kiddy Club. Limited space available. call or email us today regarding our current rates.